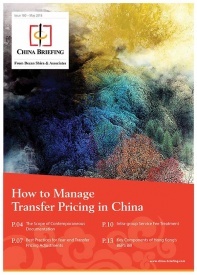 How tax residency in China gets determined is among key changes introduced in the recently passed individual income tax (IIT) law. The new law is set to reform IIT in the country, including the tax treatment of foreigners. Beginning January 1, 2019, an individual who resides in China for 183-days or more will be considered a tax resident and be liable to PRC IIT on their global income. The amendments are set to have substantial impact on foreigners living in China as it imposes a more stringent test with a lower threshold period as to when a foreigner will be regarded as a tax resident. The 183-day-rule is a tax residency threshold commonly adopted by many countries across the world (such US, UK, Australia, France, and New Zealand) and will see a shift in China’s current tax practices to more internationally recognized practices. This will also allow China’s domestic tax practices to better accord with Double Taxation Agreements (DTAs) made with other countries. Details surrounding the practical implementation of this rule are yet to be released. Of the many questions that remain unanswered are – how will China collect IIT from non-domicile expats? How will foreigners be able to reclaim tax through DTAs? Will the rule hold any implications on an individual’s visa status? It is anticipated that further bylaws will be released by the State Administration of Taxation later this year. Meanwhile, businesses should continuously monitor for new IIT updates and prepare accordingly. The new tax brackets and standard deduction amounts will take effect on Monday, October 1, 2018. The remainder of the new personal income tax laws – including the residency rules – will come into force as of January 1, 2019. An individual who does not have domicile in China but has resided in the country for (an accumulated) 183 days or more within a tax year (January 1 to December 31). The new 183-day rule will replace the previous one-year rule, essentially cutting in half the amount of time one has to spend in China to be considered a tax resident. At the moment, however, it is unclear whether the previous five-year exemption enjoyed by foreigners will still exist under the new IIT law. That rule stipulated that foreigners could escape tax liability on their global income until they reached the threshold of staying in China for more than five years. The current calculation for IIT liability is dependent on the source of income, how long one has worked in China, and whether or not income is sourced within or outside of China. 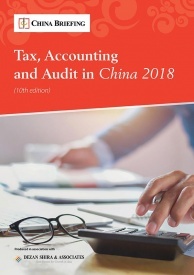 For more information on how ‘time in China’ is calculated, please review our previous article: Paying Foreign Employees in China: Individual Income Tax. A summary of the different categories of tax liability can be found below. 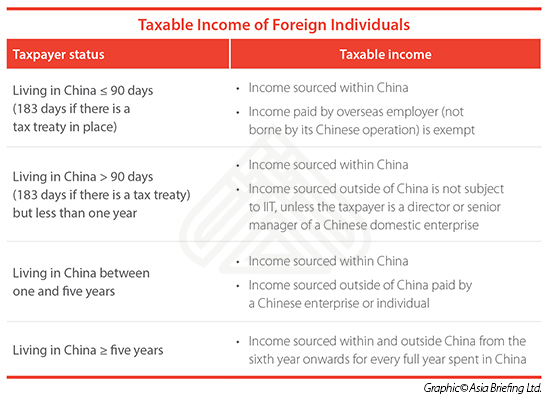 Currently, foreign individuals who stay in China for more than one year but less than five years – are subject to tax on their income sourced within China and their income sourced outside of China (from a Chinese entity or individual). A full year is defined as 365 days; however, if an individual is absent in a single period of 30 days or less or an aggregate of 90 days or less then this is deemed as a temporary absence and the individual is still deemed a PRC tax resident for the tax year. This is referred to as the ‘one-year-rule’. The five-year-rule previously contained a well-known loophole whereby foreigners could ‘reset the clock’ and thereby avoid income tax liability by leaving the country for more than 30 consecutive days or an aggregate of over 90 days. The amendments in effect will make it harder for expatriates to avoid paying tax on their worldwide income tax liability by removing this loophole. What I don’t get is that they do this right now, when the US are starting their trade war that will increasingly affect the Chinese economy – PLUS there’s already pressure on the economy with increasing manufacturing costs due to rising wages etc. So if I’m an expatriate company owner, or influential manager in a business, first of all my business has the risk of getting squeezed between the trade war and the already increasing costs. And on top of that, the Chinese government hits me what effectively amounts to a nearly 45% income tax. So: my business is at risk, and my personal income is going to be almost cut in half. 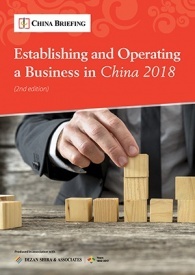 What am I going to do if I already thought of moving my business out of China but was not sure yet? This will be the final straw for many. They will start making moves, or seriously lobby their head office to move the business to Thailand (where they can have up to 15 years tax free income for the company and 15% personal income tax as executives under the BOI program and EEC), or elsewhere in ASEAN where similar incentives are available. I don’t understand how Beijing could make this change now – at the worst possible time. It’s like they want expats and any companies with expats involved in management to leave China as fast as possible. Hello, I am on a business visa and I am in China for more than 183 days. hope more and more people will leave this country – foreigners arent welcome anymore. Comfortable tax regulations once attracted waiguren to come to china, soon i will have to pay more than I would have to pay at home.